Solar thermal, Alinta, Port Augusta… what does this all mean? One would be hard pressed not to have picked up on the decision announced by Alinta to progress the option of stand-alone solar-thermal power for commercial feasibility study. There seems to be a certain “dancing in the streets” vibe from much of the early commentary. It pays to recall where this all began. Back in 2011 Beyond Zero Emissions put forward a proposal in a report called Repower Port Augusta to replace the coal-fired generation (760 MW) with a hybrid renewable option of solar thermal (760 MW) and wind (712.5 MW) to produce 4650 GWh per year. Concerned as I and others were at how this proposal sought to limit our decarbonisation options, I, along with James Brown, produced Zero Carbon Options to compare the BZE proposal to a reference nuclear option against thirteen criteria. Our overriding point then was this: if decarbonisation through the permanent closure of large fossil fuel generators is the imperative, we are unlikely to reach it by a process of attempting to corral community and political stakeholder support for only one option that lies at the very highest level of cost and other impacts. We have a much better chance by focusing on the outcome and impartially considering our options. The fact is, stakeholders and particularly market forces simply cannot be corralled in this way if the cost difference is too great, the uncertainties too high and particularly if it is pulling hard against given ideological bents. Outcome-driven processes that are less specific about the solution stand a much better chance. So, how has the process proceeded to now? Alinta has announced that it will progress a 50 MW stand-alone solar thermal power tower with energy storage for commercial feasibility. This decision comes from the findings of the first part of the $2.3 million dollar feasibility study which is half publicly funded (Aside: James Brown and I worked hard, unpaid, for about 6 months to produced Zero Carbon Options and then crowd funded $10,000 to print and launch it. End aside). RePower Port Augusta wanted 1472 MW of new capacity in 2011. Come mid-2014 the process is now down to 50 MW. The preliminary costs for this option are $15,926 kW-1 installed with electricity priced at $258 MWh-1. 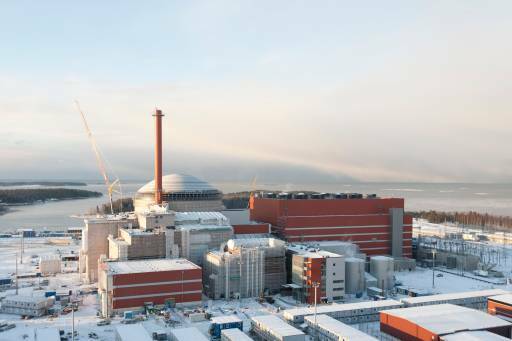 This is around double the capital costs of the most famous global nuclear cost overrun at Olkiluoto in Finland and the electricity price is bang-on the range James Brown wrote up for Zero Carbon Options. Alinta Energy states in the report that commercial development would require “long-term offtake agreements with one-or-more customers to purchase the electricity generated from the CSP” (Alinta Energy 2014, p 19). At $258 MWh-1 that simply won’t happen unless the customer is the Government in the form of a subsidy of greater than 50 %. The volume-weighted average price of electricity for South Australia was $74 MWh-1 in 2012-2013 (Australian Energy Regulator 2013). Alinta Energy has been upfront in stating that these costs are prohibitive (Alinta Energy 2014, Media Release). Alinta says the commercial feasibility of this option will be studied further “with the due diligence it warrants” to provide information for potential investors “should the cost of technology or regulatory environment change” (Alinta Energy 2014 Media Release). So, as someone who really likes technology and really wants decarbonisation, what would I be hoping for from here? I would be hoping that the commercial feasibility delivers a radically improved assessment of the costs. I would be hoping the cost gap closes sufficiently that the required subsidy is a much politically easier challenge. I would be hoping the mechanisms to support renewable energy all make it through this political period unscathed. I would be hoping that somehow the 50 MW build can go ahead, that it exceeds expectations, identifies multiple cost-saving improvements for subsequent expansion and the process gets easier and easier from there. Hope, however, is not and will never be a plan. All of the above may happen. However I doubt that it will and if it doesn’t? Where does that leave us in the decarbonisation challenge from late 2015? If, as stated earlier, the goal is decarbonisation, not simply the promotion of some technologies, then the forces marshalled behind this solution for Pt Augusta are making terrible strategic and commercial errors by insisting on limiting our options in this way. It is entirely possible that every bit of effort from every single person (and dollar) behind this campaign will produce little more than studies of one option that won’t get up. I (and nearly all those I have regular dealings with) am not anti-renewable technology. But the technology must be subservient to the outcome. The outcome stands a much greater chance of surviving the process if we keep our options open. Most especially we need to be open to the only technology South Australia can deploy that is proven to decarbonise large, developed-economy electricity supply. Good write up. I’ve always wondered how a 50MW CST plant can replace a 560MW coal plant (Northern). Wasn’t that the goal from day one? Replace the coal and improve the health of Pt Augusta and limit emissions? I wonder how the residents of Pt Augusta will take it when they discover a 50MW CST plant next door to a still functioning Northern plant? The RePower campaign had the health issues as a key component of their campaign. They need to be super careful that if a subsidy, or even a FiT, is large and that somehow gets back to the consumer. It’ll be dead in the water once the general populace see their bills potentially go up. It could potentially put back CST in SA for a long time. Honestly with my interactions with this project it’s becoming an amateur hour. The other issue, is that with the disparity between the above events (health, CST objective) it makes it so much easier for another organisation to argue for a different option. RePower and the AYCC better watch out, there are other players in the energy market in SA that would benefit from a bit of green momentum for a ‘green washed’ electricity generator. At nearly $800m for 50 MW peak that’s $16 capex per watt whereas commercial PV is said to be be around $1 per watt. I’d also like to know the economics of the saltwater greenhouse that grows a few tomatoes and capsicums (with winter gas boost) at Pt Augusta using who knows what subsidies. This was supported by the late Stephen Schneider but the economic arguments are sharper these days. To use the James Lovelock term you’d have to think this solar plant is a ‘gesture’. An expensive sop to delude ourselves for a while longer there are easy alternatives to coal. Meanwhile Adelaide’s gas fired plants that have been paying $4 a GJ for gas may see their gas contracts renewed for double that price. 50 MW is hardly a replacement for the 1,280 MW of Torrens Island gas fired power station. You’d also think after the Geodynamics granite geothermal story the government would be more circumspect. AFAIK that 1 MWe power plant out in the Simpson Desert is not operating due to lack of customers despite generous renewables subsidies. The Pt Augusta solar thermal plant could be yet another expensive white elephant. We may be a bit square but at least some of us can do simple arithmetic. How does a $780 million solar thermal tower compare against a small modular reactor (SMR) option? USA’s mPower and NuScale are quoting a build cost of $5000 / kWe capacity, that’s $250 million for 50 MWe (though in reality, builds start at 270 and 360 MWe for NuScale and mPower.) NuScale quote a LCOE at $120 /MWh for a 6-pack, 270MWe install and $100 /MWh for 12-pack, 540 MWe install. Take into account a 60 yr Nuc. plant lifetime and 90%+ capacity factor and you get even better economics. I think Nuclear is a more affordable low-carbon solution. I agree. And the SMR’s are at the very beginning of their development. It is easy to project at least a 50% cost reduction going forward, when economies of scale and experience with commissioning and licencing them advances. Some of these SMR’s are already fitted with the system concepts necessary to allow unmanned operation and/or remote monitoring, in combination with walk-away safety. Imagine retrofitted light truck factories churning out dozens of SMR’s per month off the assembly line. That will end fossil fuel hegemony, solve the climate crisis, eliminate air pollution and take away the causes of resource wars all in one great sweep. Nuclear fission fuel is inexhaustible and cannot be monopolised. What is not to like? on renewable energy made some claims I’d describe as unbalanced. A major quibble includes the implication wind and solar are responsible for reduced electricity demand when there are a number of contributing factors such as the doubling of electricity prices 2007-2013. The downward pressure on wholesale power prices failed to mention the $25-$40 per Mwh subsidy received by wind and commercial solar that goes onto retail power bills. Nor was it pointed out we’ll still have the cost of the upkeep of the grid and maintaining dispatchable generation capacity no matter how large wind and solar get. Re SMRs I think their cost can be justified in some locations currently way off major transmission networks. Applications include power to run large mines and processing plants or seawater desalination. Some projects could use an SMR tomorrow not after 2025 when the first will be available. Then there is the problem of replacing several 2-3 GW baseload plants (eg Bayswater B) in the 2030s. That’s just in case wind and solar haven’t solved that problem. Where is the power and water coming from? The size has probably been reduced to 50MW because there is no market for electricity there any more. SA has some of the highest penetration rates of renewables in the country. There just isn’t anyone to sell the electricity to. I can’t remember which is which but of Northern and Playford B one has been mothballed permanently and the other is only operating seasonally. Also in that market Torrens Island is operating at reduced capacity. These plants have already been replaced, with solar, wind and reduced demand. it’s staggering that you think a nuclear power plant would be a reasonable replacement. You would build what, 1GW, in this market? where’s all the electricity going to go? The interconnect doesn’t have much capacity and the Vic government steadfastly refused to upgrade it. I would not build anything; I am neither Government nor investor. James Brown and I wrote a report called “Zero Carbon Options” and that is our point: we need to work through a process of assessing options for clean energy to replace coal, rather than using activism in an attempt to dictate technology outcomes. Such a process could assess solar thermal alongside geothermal and a range of nuclear options, from as small as 180 MW through 311 MW, some options in the 600 MW and 800 MW range, all the way up to 1.6 GW per unit. I don’t know what would be the right option (though I have some ideas) but I do know this would be the right process. You are correct of course, demand is currently suppressed and the National Electricity Market (NEM) is oversupplied including, as you point out, thanks to the addition of wind power in particular. Plants in South Australia are being run at much reduced capacity including, sadly now, our cleanest baseload plant being Pelican Point. It can’t get the price it needs and the marginal cost of the coal plant is lower. That makes any new investment commercially doubtful absent a strong policy signal. There is also over 30 GW of operational coal plant contributing to the NEM supply. So clearly, there is a need for a large amount of dispatchable clean generation if we are to decarbonise. This reasoning supports solar thermal and geothermal as well as it does nuclear. For any of those investments, policy would be required to ensure the power has priority dispatch since none of them will beat cheap coal from old incumbent generators on marginal price. A revised Clean Energy Target that separately rewards both electricity provided and firm capacity added would do the trick of finding the most cost-effective generator, just at the Renewable Energy Target quickly found wind. Nuclear would be this most cost-effective response to such a target, by a large margin. The mothballed Olympic Dam expansion needed 650 MW and there are several other new mines that could go ahead. A desalination plant perhaps needing 40 MW was planned for Whyalla a bit further down the narrow gulf from Pt Augusta. The idea was to not only pump water 300+km to OD but make it a bit bigger to help supply water to towns like Pt Lincoln. Those towns rely on river water pumped from the Murray up to 600 km away. That whole Eyre Peninsula + Woomera region needs max power. Well I guess Olympic Dam can propose a nuclear power plant when they want one then. Another more recent article on this issue from ABC, and as am ABC fan I would love them to be more critical/investigative on this. Not a mention of probable cost, efficiency or output compared to other options..